Judith Skinner and Sarajane Helm make it obvious that they not only enjoy working in this versatile mix of media, but also have fun with it…a LOT of fun. 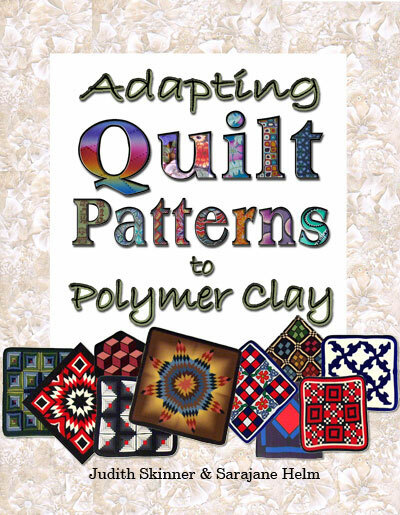 Whether you appreciate it purely for the vibrant visual elements or use it as a guide to precision cane making in polymer clay, you’ll find much to savor in its 122 pages. 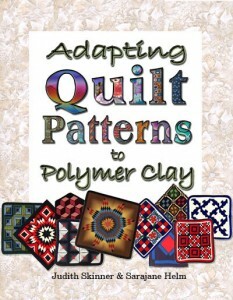 This book is fully stuffed with pictures and information, making it a MUST-SEE for anyone with a love of textiles and quilts, color and pattern, and polymer clay.